SITE International Symposium . 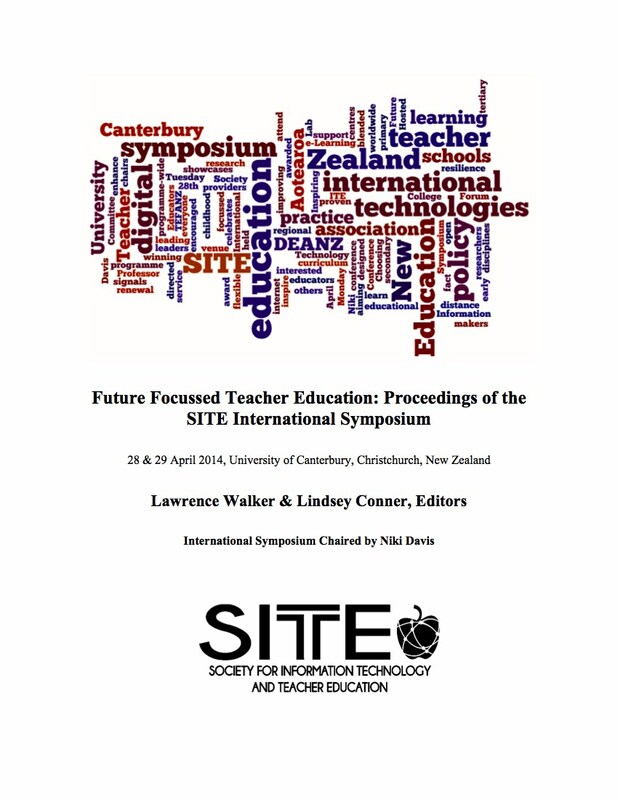 Publisher: Society for Information Technology & Teacher Education. Many of the papers and posters at this symposium provide examples of using digital technologies and evaluate the use or pedagogical considerations and appropriateness of incorporating these into ITE. There is some promise that incorporating specific software and web 2.O tools enhances students’ motivation, engagement and satisfaction, and that they can contribute to the development of digital knowledge and use across geographically dispersed learning communities and for a range of learning contexts and subject areas. Our own reflection on how well these led to student outcomes is evident in many of the papers and posters. Reflective practice and some subject specific areas are very amenable for using digital technologies as showcased in particular papers. Of interest in several contributions, is the identification of assumptions we make about students’ prior knowledge and skills, as if they are already very familiar with the use of technologies for teaching. In most cases our students are not as experienced as we expect. So, constructivist and social constructivist approaches, where we help students to identify their needs, are more likely to support active learning and a sense of developing a ‘community of learners’. Even more heartening is the collaborative nature of many approaches within ITE to include digital technologies. The symposium itself and the sharing of these ideas will enable us to take advantage of relationships across organisations and also with international contributors as we move forward with these ideas. The submissions in this symposium also reflect our wider expectations for tertiary education to improve outcomes for individuals and society as a whole, especially when we consider the influence of teachers on future generations and the ways in which teacher education supports groups of people to access and develop skills needed in our emerging digital world. Perhaps you have more questions for future research as an outcome. We are very grateful for your thoughts, research, reflections and contributions to our discussions. Walker, L. & Conner, L. (Eds.). (2014). Future Focussed Teacher Education . Retrieved April 24, 2019 from https://www.learntechlib.org/primary/p/149921/.